Findings guide scientists looking for signs of ancient life on Mars. According to a recent publication, microbes living inside toxic volcanic lake could guide scientists looking for signs of ancient life on Mars. Microbes living in a toxic volcanic lake rank as one of the harshest environments on Earth. 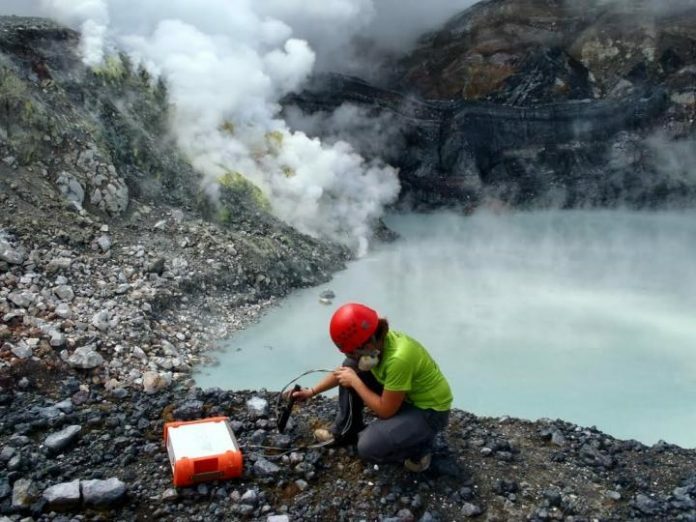 Scientists at the CU Boulder braved second-degree burns, sulfuric acid fumes and the threat of eruptions to collect samples of water from the aptly-named Laguna Caliente. Settled in Costa Rica’s Poás Volcano, this waterway is 10 million times more acidic than tap water and can reach close bubbling temperatures. It additionally looks like the old hot springs that dotted the surface of early Mars. The lake can barely support life. Scientists found that microbes belong to single species of bacteria in the lake water, a rock-bottom level of diversity. To look for living life forms in this “periphery” condition, the analysts examined tests of lake water for DNA. They discovered the signature of one species of bacteria belonging to the genus Acidiphilium–a group of microbes that scientists have previously seen in toxic drainage from coal mines and other harsh locations. If life did evolve on Mars, it would likely have survived in ways similar to the lake’s bacterium–by processing the energy from iron- or sulfur-bearing minerals. Hynek said, “It’s a hard task: Rampant volcanism during that period created volatile and mineral-rich pools of water, giving rise to “Yellowstone all over Mars”. Scientists have reported their findings in Astrobiology.